This site was created to educate and provide information for anyone interested in coming to the country of Brazil (in particular Bahia). The focus of this site is on cultural info, travel tips, area profiles, traveler experiences, relocation advice and info on doing business in Brazil. Personally I have been living and doing business in Brazil for years with my wife and four children. I applied for and received permanent investors visas for myself and my family back in 2007 from the Brazilian government. That process in itself was a great learning experience. I worked with a lawyer from Sao Paulo. To say the least, I wouldn't recommend him to my worst enemy, lol. Fast forward years later, I have made some trusted contacts that can streamline the visa process without emptying your pockets. If you are interested in acquiring my help for gaining an investment or retirement visa for yourself contact me here. I can also assist anyone interested in purchasing real estate or partaking in any other business or investments here in Bahia, Brazil. 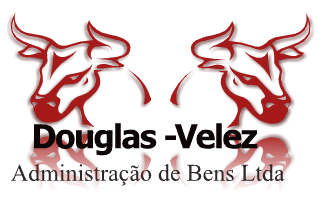 With our unique combination of resources, contacts and business savvy, my company, Douglas-Velez Administração de Bens Ltda, is able to provide potential investors with the opportunity to invest in the swiftly emerging Brazilian market place. For those that don’t already know, the economy of Brazil is one of the largest in the world. Brazil is finding itself the envy of the world with it's stable economy and political landscape, free market trade, investment opportunities, climate, resources, etc. The list literally goes on and on. If you are interested in experiencing Brazil, in particular the state of Bahia, contact me. I help arrange private tours for individual and group clients throughout the year. I will help make your Brazil trip a reality for you no matter how big or small your budget is. If you have any other questions about life in Brazil drop me a line. Feel free to browse through the website and leave feedback. I can help you organize your trip to Bahia and once you are here we guide you through everything. This way you learn the ins and outs rather than through trial and error, which can be dangerous. This is my home, and I want you to feel at home here and fall in love with Bahia.